iTunes is more than just about music. It manages videos, apps, and podcasts, but it also handles audiobooks. You can add audiobooks to your iTunes library and you can sync them to iOS devices and iPods. In this week’s column, I look at a number of questions about audiobooks. While the focus is on that specific media kind, many of the questions and answers can also apply to other types of media that iTunes manages. 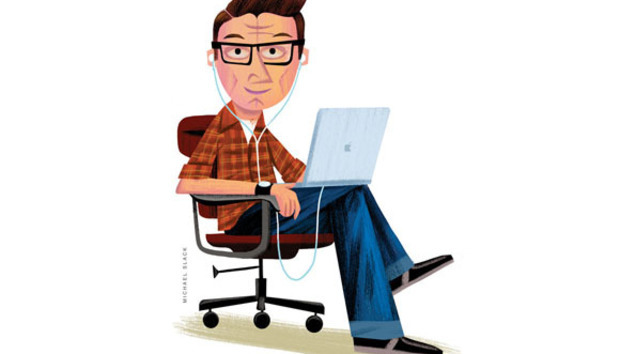 So even if you don’t listen to audiobooks, you may find some useful tips in this column. Q: I had to reinstall iTunes on my Windows 10 PC. When I open iTunes, all my audiobooks are checked. Is there an easy way to uncheck all of them at one time? There is indeed, but first, let’s talk about the little checkbox you see in iTunes. When you view any of your media in a list view (such as Songs view for music; Audiobooks view for audiobooks, with View > View As > Audiobook List chosen; etc. ), there are little checkboxes to the left of each item. Here are a few of my audiobooks in Audiobook List view; you can see the checkboxes to the left of each item. All but two of them are checked. You can check or uncheck any item by clicking its little box. You can also right-click on an item and choose Check Selection or Uncheck Selection. You can also check or uncheck all the items in a specific view: select them all (Edit > Select All, or Command-A; or Ctrl-A on Windows), right click, then choose Check Selection or Uncheck Selection. Make sure you don’t accidentally select, for example, your entire music library and check or uncheck these items. Check or uncheck a group of selected items using the contextual menu. Which books have I heard? Q: I’ve got a lot of audiobooks, and I’d like to find a way to tag the ones I’ve finished as read. Is there any way to do this? You can use the checkboxes I mentioned above to indicate books you’ve read (or listened to). Just uncheck the boxes next to the books (or parts of books) that you’ve completed. The only drawback is that you can’t see which books (or other items) are checked or unchecked in grid view. If you prefer that view, there’s no way to differentiate these books. However, if view your audiobooks in Playlist view—you can add all your audiobooks to a playlist, for example—unchecked items are dimmed, as in the screenshot below. Unchecked items are dimmed in Playlist view. This smart playlist will display audiobooks you haven't listened to. Plays is 0 when you haven’t played something to the end; it increments each time you play it. So a smart playlist would let you see just unlistened audiobooks at a glance. Q: When I rip a new audiobook from CDs, I rip each CD as a single file. I then add them to a playlist, add that playlist to a playlist folder, and sync that folder to my iPhone. But when I do this, it resorts the multiple discs in reverse order, so that the book starts at the end instead of the beginning. How can I fix this? Sort by Album to make sure your audiobooks play in the correct order. It sounds like you may have the playlist sorted correctly, but not the playlist folder; it has its own sort order. You need to sort it in album order, but first, you need to make sure that each of the files (which correspond to CDs) is numbered correctly. You can number the files by selecting one at a time and pressing Command-I, then entering a track number. These track numbers should start at 1 for the first disc, then increment until the last disc. When you’ve done that, click the playlist folder in the iTunes sidebar, then press Command-J, or choose View > Show View Options, and choose Sort By Album. Q: 99% of my audiobooks are from Audible.com. I have a playlist in iTunes containing all my books in the order I want to listen to them. However, that playlist doesn’t show up on my iPhone in the Music app. When one book finishes I have to go into iBooks to select the next book to listen to. Is there a way to create an audiobook playlist that works in the Music app? Unfortunately, no. I, too, listen to mostly Audible audiobooks. I use a playlist to sync the ones I want to my iPhone, but then I need to play them from iBooks. Audible has its own app, which is pretty good, but it doesn’t let you make playlists. If, however, you rip your own audiobooks, you could listen to them in the Music app. You’d simply need to change their Media Kind to Music, and then set a genre, such as Spoken Word, so you can find them easily. You can sync them to an iOS device, and play them from the Music app.